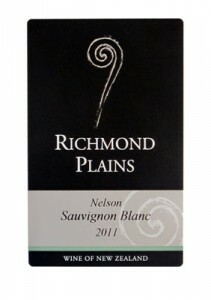 Congratulations to Richmond Plains for winning best Sauvignon Blanc at the Sydney International Top 100 Wines! Lovely green herbs, like supermarket herb trays. Lively parsley and sage. High acid. Lean long firm very intense acidity but in a light medium body. The food really lifted this wine particularly that lick of chervil helping to make the wine complete and more comfortable. Quite exciting to see that. Closed nose. Fresh gooseberry characters. Refreshing sweet fruit with pleasing crisp acidity and a lingering finish. A vibrant complement to food. A strong tomato leaf nose followed through onto the palate. A good acid backbone and fresh dusty leaf character. A good combination with the goat cheese, the tones of the tomato leaf were pulled back. Distinct floral edge with depth. This wine has better depth of fruit on the palate with a tight clean finish which enlivens the goat cheese soufflé. The sugar snap pea and green bean characters are quite zesty to finish. With the food it was fuller. The green fruit was less overt when accompanied by food. Crisp and crunchy green pea nose. Bright and fresh with pungent sugar snap notes. Medium full bodied with zippy acids. Good intensity in a modern cool style. The wine flavours lessened and the acid was pronounced with the food, losing balance slightly.